Sometimes life just finds a rhythm that just feels perfect. 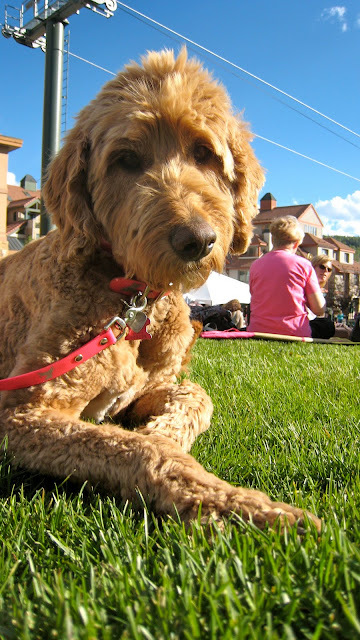 We rolled into Telluride, CO on a beautiful Tuesday afternoon in late June. After spending six weeks in the desert it was great to find lush green mountain sides, swollen mountain streams, and cooler weather. The town of Telluride seems to have been made out of our dreams. We found great camping right in town at the city campground along a beautiful mountain stream. Telluride is a gorgeous Victorian influenced town of around 2000 full time residence year round. Its an old mining town that is just under 9000' in elevation. The town is surrounded on three sides by steep mountain with lots of waterfalls rushing around, including the tallest waterfall in Colorado I believe. The town has a great vibe to it. One thing I thought was funny is that I kept inhailing this smell that I couldn't quite get my finger on. Then I was reading a local paper and I figured it out.....the town has more "pot" bars than either real alcohol bars or coffee shops.....crazy huh? The locals seem to like it better than booze. We have been here just a week, but have found no use for our vehicle. We have amazing biking right from our camp. 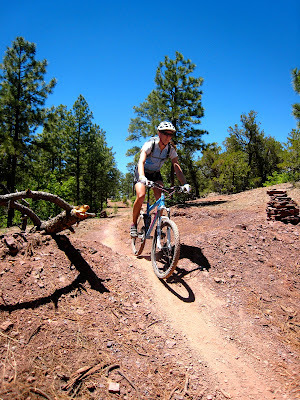 We can ride singletrack to over 12,000' or jump on the gondola system (the only public transportation system of gondolas in the US) and ride the mountain bike park for some downhill bike action or easier access to the alpine singletrack. Kona has become an old pro at the gondola system. She has ridden them before in Idaho, but its been a couple years and I was surprised how much she loved it. The biking around here is steep and sometimes brutal, but offers some rewarding views. We also use the gondola system for getting groceries and to access our new favorite post bike sport.....disk golf. Its free and found in lots of towns or we just make our own course with trees around camp. Our timing seems to have been great. Since we have been here we have had free concerts in the park every night. Also the Telluride Wine Festival going on all week all over town and the mountain village. We love spending the evening listening to great music while enjoying our own beers. So much good biking around these places. If you ever get a chance and are in the Durango, CO area do yourself a favor and stop in at Phil's World just east of Cotez, CO. I don't think I have ever ridden a ride with a bigger grin....the link has all the directions you need. This is easily one of the top 5 rides I have ever done. It isn't a hard ride at all, but it just flows so well. Stay left and your all good. Great map at the trailhead.....seriously this is a killer ride...do it before you die! I would suggest camping just north of Cortez a few miles in Dolores, CO at another great trailhead for Boggy Draw. Click the links for directions, it is higher in elevation and in the tress so its much cooler. Great camping right at the Boggy trailhead. Ride Phil's World first though...amazing......Boggy is good, but Phil's World is sooooo good. I didn't take many pictures as I was having way too much fun to stop. If you need any more beta stop in at Kokopelli Bike & Board in downtown Cortez, CO. They have great maps of all the areas above and have a great selection of all sorts of stuff. Great mechanics and tons of free info if you ask the guys in back. Next stop Telluride, CO and some cooler temps and high altitude riding. We both really like this town. It reminds us very much of our home in Bozeman, MT. It has great biking, a really fun and alive downtown, great beer, skiing, and a college to keep the vibe young and alive. There is lots of great riding and tons of free camping just north of town at Mt. Elden. There are also a bunch of free disc golf courses for after biking. We planned on staying a week or so riding around, but a series of fires changed all that. First there was a fire just south west of town that caused an evacuation of our truck stop we were trying to shower at. There was a free concert all weekend long downtown that we watched after that. Great music and a fun vibe. You know the deal....beer tent, food vendors, and art for sale. The planes dropping fire retardant also were flying right over the music venue which was crazy and cool. It was Sunday morning on Father's Day when we decided to go into town and wash our clothes and try again at a shower. I rode down a trail (Shultz Creek) from our campsite and Claire picked me up at the bottom and we went to take a shower, which we did. Then we hit up a laundromat and enjoyed a beer next door at a bar. We went back into the laundromat to check on some stuff and the nice lady working there showed me a fire that just started out the back door. I asked what direction that was and she then told me what I had feared. Mount Elden was burning up and we left two bikes chained to a tree at camp and other camping stuff. We dropped everything and raced up to camp. We both knew that the road was closed and all was lost in our guts. We then saw an amazing site....our neighbors from camp honking at us. After we followed them to a parking lot they told us the amazing story. There was also a group of four or five RV campers full of bike riders and their family's close to our camp. Most of the parents were out biking with the older children while the younger kids stayed in camp. These amazing people helped them pack up before leaving the fire themselves at the last second. They then drove around town looking for us as they knew what we were doing in town and wanted to give us our bikes. These are those people. Thanks again for everything and it warms my heart to see such acts of kindness in today's world. You are all amazing people!!!! Pleas hit us up on facebook and stay in touch.....our doors are always open. We left Flagstaff en route to Cortez, CO (with another stop in Gallup, NM). 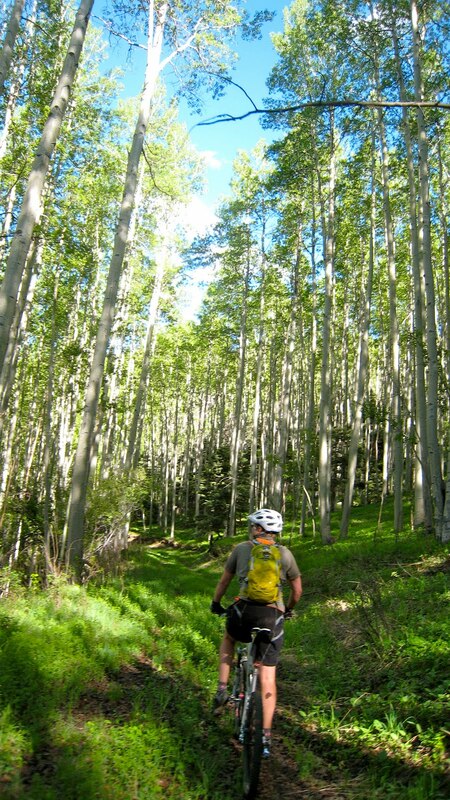 The desert is getting hotter and we need to find some green lush trails to ride in Colorado. I heard a rumor that the high country is dry now. We really didn't know what to expect when we rolled into Gallup, NM after leaving Albuquerque. 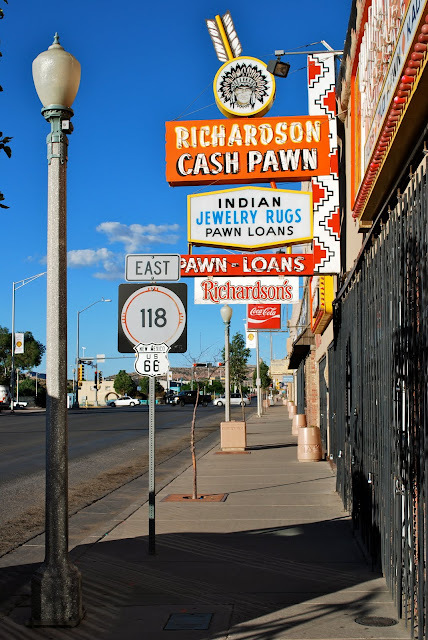 The town was a bit rough around the edges as it was a old Indian trading post. The Indian jewelry trade and a casino ruled this place. Lots of cheap bars and even cheaper hotels. If your a biker looking for a cheap hotel to crash in this town is full up $25-$30 dollar hotels. We didn't stay at any, but this is a place to ride, eat, and sleep on a budget. 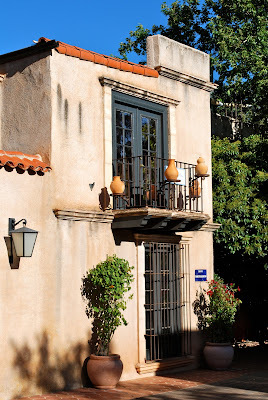 If you want to stay in a cool hotel try the El Rancho. 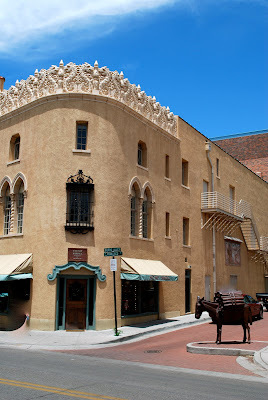 This is where all the movie stars stayed in back in the day when they were shooting westerns around here....it was good enough for John Wayne. Much like a book you don't want to judge this town by its cover. This sleepy little town has spent over a million dollars building trails here. Were talking full time (paid) crews building trails and they even have a (paid) person who's job it is to make sure the trails are in good condition. We met Chris and he was a cool kid. 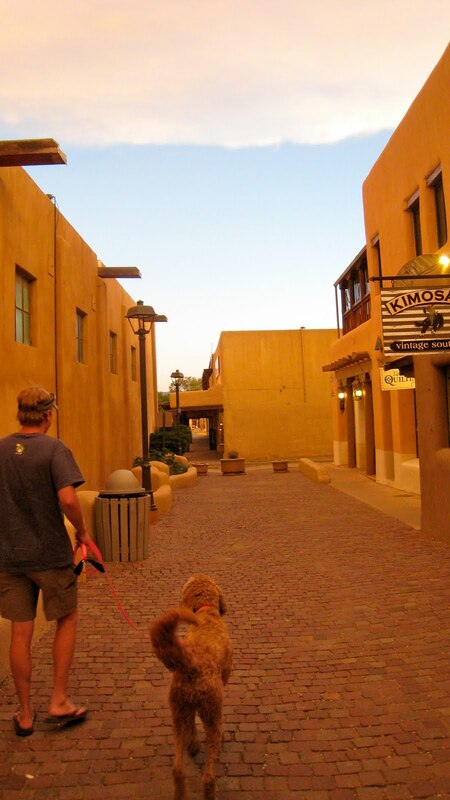 A while back a project was started to turn this town into a recreation destination as well. This project culminated in 2010 and the results can be seen at www.galluptrails2010.com. There is three main riding areas. The High Desert Trail network just north of town and easily ridden from town. I'd suggest hitting up the visitor center in town and grabbing a map to this trailhead. Ride it from the western trailhead and keep right going up and take the left/north trail going back down. This is a gem of a trail and shouldn't be missed. All intersections have clear maps and there is even art spread along the trail...I can feel the love that went into building this trail network. Good stuff!!! Here is a map of the HDT system....it also says all hikers are welcome, but everyone must yield to bikers (no joke). Click any picture to enlarge as always. The other areas include red rock state park which was closed for construction when we were there. It looked like riding slickrock similar to Moab. The other is Quaking Aspen just south and east of town. 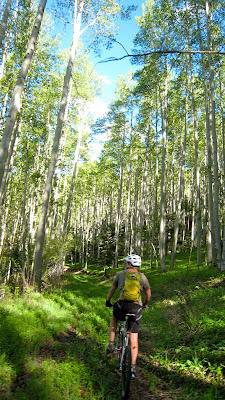 This is cooler riding in the trees and has lots of great camping options around there. Just head out of town towards Fort Wingate and look for the trailhead on your right after getting into national forest land. Again no need for a map as everything is laid out perfect with maps at every intersection. I suggest staying left and riding the outer big loop. It has a fun end I won't spoil. This is a great riding destination and a hidden gem for biking. If your around the area definitely stop on by and ride it. You could easily hit two or all three riding areas in a day. We were getting dog tired.....the legs were sore and the body ached from a month on the road biking.....perfect time to let the body recharge. We stopped in Albuquerque, NM for some pampering at Claire's family's house and pampering we received (Thanks so much Patrick and Tina for your generosity, you guys are the best!). I rode the bike one day, but we mostly relaxed by the pool and ate fabulous food. The weather was great and the house was amazing.....overlooking the city in the hills right next the the ski tram. 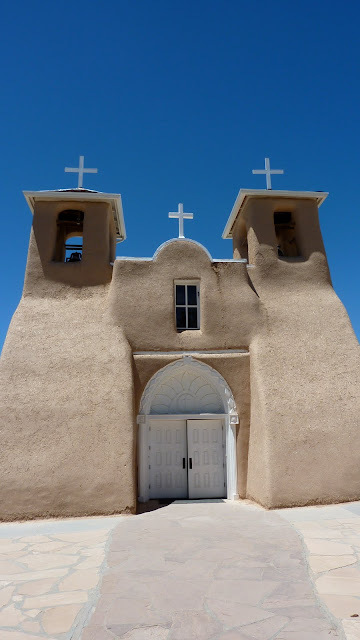 We left Albuquerque on Monday the 14th heading towards Gallup, NM. I read a Bike Magazine article on this place a couple years ago and have always wanted to ride there (even brought the magazine along). The city choose a mountain biker in 2003 to be mayor. They initiated a plan for lots of outdoor recreation by 2010. They spent over a million dollars building trails....they wanted a economy of recreation not just selling Indian jewelry. While we were in Taos we headed over on a Sunday to cheer on a friend in her first pro mountain bike race. The vibe at Angel Fire was amazing......it was the second largest mountain bike race in the US I heard (don't quote me) after the Sea Otter Classic. Lots of the top bike companies were there with full support for the racers. Ana killing it on here Airborne Taka (same DH bike I have). She was screaming downhill.....this girl can ride. Super D Finals....I might try this out this summer. Its a blend of cross country and downhill. Its very similar to how we ride normally. Click Me for more info. Great weekend for racing. They did cancel the 4X race after a 17 year old kid died in practice on Friday.....very sad indeed. Rest in peace Craig Lange.....waaaay too young.